Saturday, June 4, 2017 was sooo amazing! I was installed as Vice President of the South Florida Writers Association (SFWA) www.sflwriters.org . Yayyy!! Ok, all Yayyy’s aside, I am very humbled by the honor that has been bestowed upon me by this incredible membership. Thank you everyone!! What an honor to meet the Mayor of South Miami, Philip Stoddard, who served as the installing Officer of our new Executive Board, including our amazing new President, Mervyn Soloman. I still remember my reaction when the Board asked me to run for the office of Vice President. “Wait, What? Me?” Life is so unpredictable. 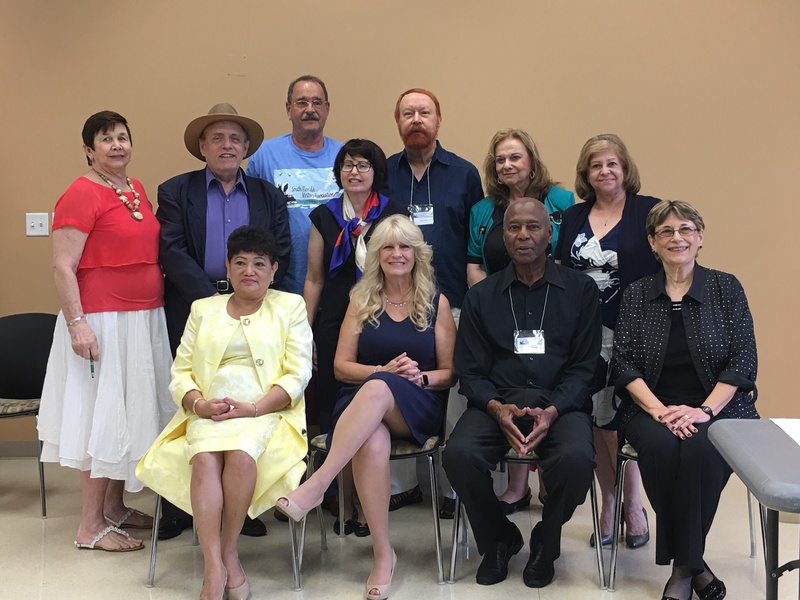 I always thought about someday serving on the Executive Board of the South Florida Writers Association, but I never dreamed that my someday would be now. I am blessed. I joined the SFWA when I was invited to teach a seminar called, “Bring Your Characters to Life!” Taught from the book located on Amazon: http://kidsmysterybooks.com. I spent the morning with the amazing men and women of this group, and immediately wanted to become a lifetime member. As my new journey as Vice-President begins, I look forward to working with long-time members such as our President, Mervyn Soloman, immediate past President, Connie Goodman-Milone, former Presidents, Jonathan Rose, Ricki Dorn, Steve Liebowitz, Evelyn Benson, and Norma Chew, just to name a few. I am totally stoked knowing that I will be standing on the shoulders of these writing giants, whose personal dedication and constant support keeps the organization a forum for fellowship, education, and information among writers. My goal for my term of office as Vice-President, July 1, 2017 – June 30, 2018, and President Elect thereafter from July 1, 2018 – June 30, 2019 is to learn and grow under the leadership of President Mervyn Solomon, serve the Board, and to assist the members of the SFWA to the best of my ability. Being “Member Centered,” we want to help keep the South Florida Writers Association an organization that offers people exciting activities, great guest speakers, workshops, the Miami Book Fair, and the ever awesome, Mango Writer’s Conference. Are you a poet? We welcome you to present your poetry at our poetry events. Every writer, no matter who they are, or what genre they write in, needs the support and camaraderie of other writers. We have excellent writers at the SFWA who are always ready to help. If you are interested in attending one of our meetings, we are located at the Pinecrest Library on the first Saturday of every month 5835 SW 111 Street, Pinecrest, FL 33156. If you’d like to become a member, contact us at www.sflwriters.org. If don’t live in the area or even in Florida, don’t worry. You can still become a member and register on-line.